Marion A. Weaver, 93, of Lancaster, went home to be with her Lord & Savior Jesus Christ, Wednesday, February 14, at Lancashire Hall where she was a resident. Born in Clay Township, she was the daughter of the late Raymond B. & Mae (Ober) Eshleman. She was married to the love of her life, A. Ross Weaver Jr. They would have celebrated their 72nd wedding anniversary March 17, 2018. Marion graduated from East Hempfield High School in 1942, where in addition to her studies, she played both basketball and volleyball. After graduating, she was employed by Armstrong Cork Company. In addition to her husband, she is survived by her children: Jeffrey A. Weaver, husband of Katherine (Shook), Landisville; Gregory L. Weaver, husband of Judith (Lundgren), Lancaster; Mark R. Weaver, husband of Carol (Longenecker), Lancaster; Karen L. Weaver, New Holland. 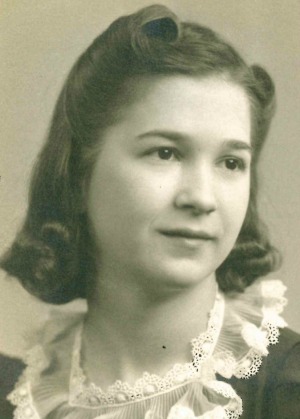 She is also survived by four grandchildren, five great-grandchildren, a sister, Dorothy Fritsch, Columbia and a brother Donald Eshleman, husband of Joan (Breneisen), Lancaster. In addition to her parents, Marion was predeceased by two brothers, two sisters, a granddaughter and a grandson. Marion, Ross and their children were active members of the Landisville Church of God for many years where she was a children’s Sunday school teacher. She was also a member of Farm Women Society #19. Marion enjoyed playing cards, belonging to a women’s pinochle club. She was also an accomplished bridge player. Relatives and friends are respectfully invited to attend Marion’s funeral service at the Landisville Church of God, 171 Church Street, Landisville on Monday February 19th at 11:00 a.m. Viewing and visitation will be at 9:30 a.m. until the time of the service. Interment will immediately follow in the adjoining Landisville Mennonite Cemetery. In lieu of flowers, contributions in Marion’s memory may be sent to Friendship Community, 1149 East Oregon Road, Lititz PA 17543. I am sorry for your loss of Marion. May you find comfort in the many precious memories you shared together as well as the promise of our Heavenly Father to restore those that have fallen asleep in death, to perfect life on a paradise earth. As you contemplate that promise, draw close to God in prayer and he will draw close to you and give you the needed strength to carry you through the difficult days ahead. All the best wishes for your family at this time, take care of each other.